Ilve Appliances on House Tipster. 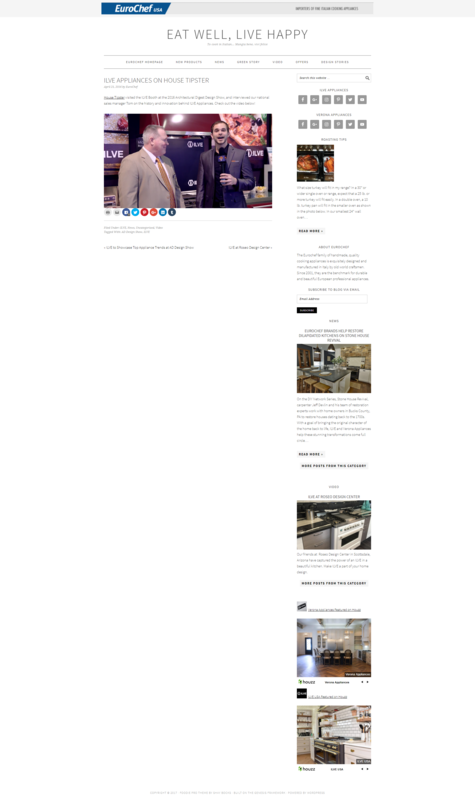 House Tipster visited the ILVE Booth at the 2016 Architectural Digest Design Show and interviewed EuroChef USA's national sales manager Tom on the history and innovation behind ILVE Appliances. Check out the video below!